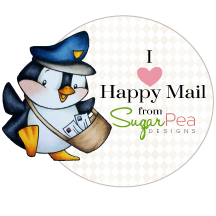 We've been asked how you can add our new SugarPea Designs blinky to your blog's side bar. FLASH GIVEAWAY!! Add our blinky and post here with a link to your blog and we'll draw a winner to receive a $15 Gift Certificate to the SugarPea Designs store. PLEASE SHARE and pass along. I am adding this cute "blinky" to my page...check out the Sugar Pea Designs.